As we all know, MPEG stands for Moving Picture Expert Group. There are several versions of the codec, which are used to reduce the size of a file for quicker streaming or downloads. In general, MPEG has standardized the common compression formats and ancillary standards, such as MPEG-1, MPEG-2, MPEG-3, MPEG-4…Mac is popular with most people currently with its compact size, fashionably appearance and awesome capability. However, we find it impossible to play MPEG on pre-install Apple’s Media Player- QuickTime or other Apple devices, which only shows audio exists or even worse. Mac platform actually doesn’t support MPG video files. Hereby, we need a tool to help us convert MPEG to MOV on Mac. How to convert MPEG to MOV on Mac? There’s a simple way to convert MPEG to MOV on Mac. You can choose to convert MPEG to MOV online with online video converter. It requires no software installation and is completely free. In the instructions below you would find the instructions for using this kind of online video converter to convert MPEG to MOV on Mac free. Let’s take onlinevideoconverter.com as an example. Step 2: Click SELECT or DROP FILE button to choose the source video and upload it to the website, or you can do it by directly dragging the source file to this page. Step 3: Choose the output format for the video, as you are currently converting MPEG to MP4, you can click the format box and choose MP4 on the drop-down menu. After choosing a format, click More settings to choose the quality of the video. And then click the Start button to start the conversion. Step 4: When this online video converter finishes converting the file, it’ll open the video downloading page. On this page, click the Download button to download the output MP4 file. 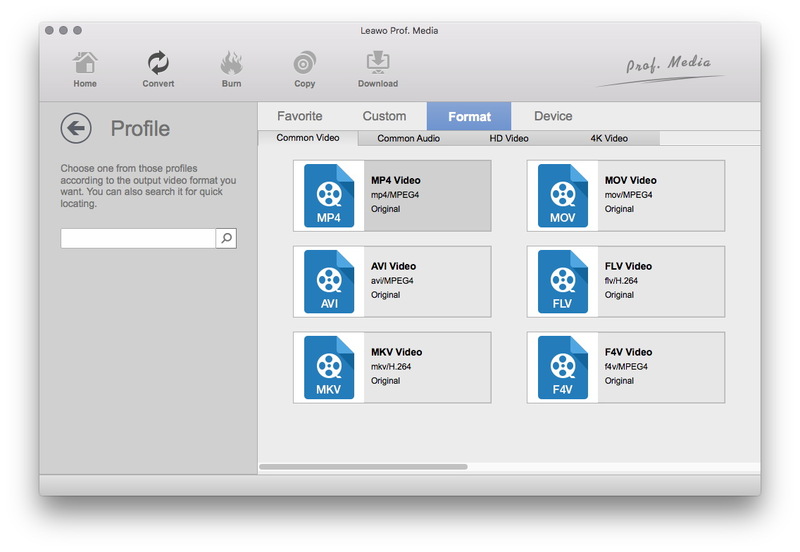 As an all-around video converter software program for Mac OS, Leawo Video Converter for Mac enables you to convert video on Mac with great facility: AVI to MPEG, FLV to MKV, WMV to MOV, MKV to MPEG, etc. Conversions between audio formats can also be done and you convert video to audio to get audio off video file for music listening. 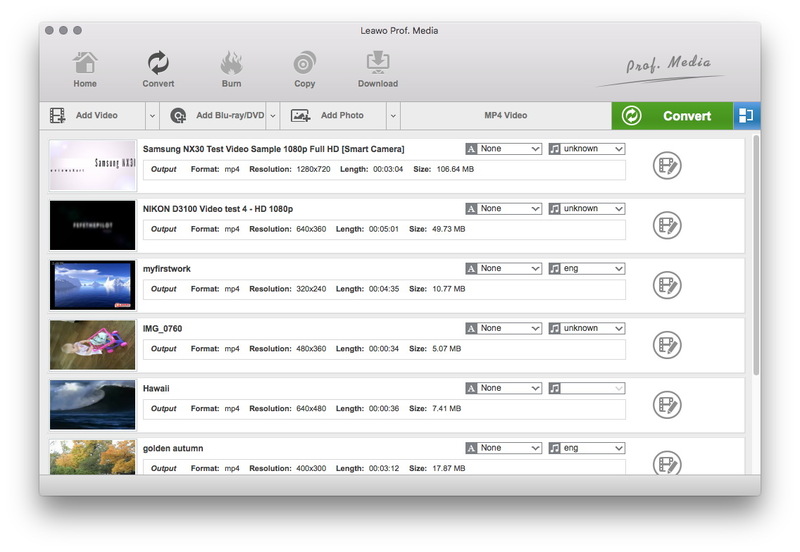 This MPEG to MOV converter for Mac is also equipped with various video editing features and parameter adjuster to let you personalize output files. Run this Mac MPEG to MOV converter, click Convert>Add Video button to browse and load source MPEG file into this Mac video converter. Tap the drop-down box right before the big green Convert button, click it and then select Change>Profile panel to select output format from Format and Device group. User is supposed to make use of the profile search bar to search the format he likes. After setting output format, user can choose to edit video and audio parameters of output format by clicking the Edit option. Usually, user can set video parameters like Video Codec, Quality, Video Size, Bit Rate, Frame Rate, Aspect Ratio, and audio parameters like Audio Codec, Audio Quality, Bit Rate, Sample Rate and Channels. After setting output profile, go back to the main interface and then click the big green Convert button, from which user can set output directory in the Save to box. Click the bottom Convert button to start to convert MPEG to MOV Mac with this wonderful Mac MPEG to MOV converter. See? It is simple to convert MPEG to MOV Mac. Compare with method one, method two is more affordable and excellent. It can not only convert MPEG to MOV on Mac, but it also support convert 2D video to 3D with 6 different 3D effects available. 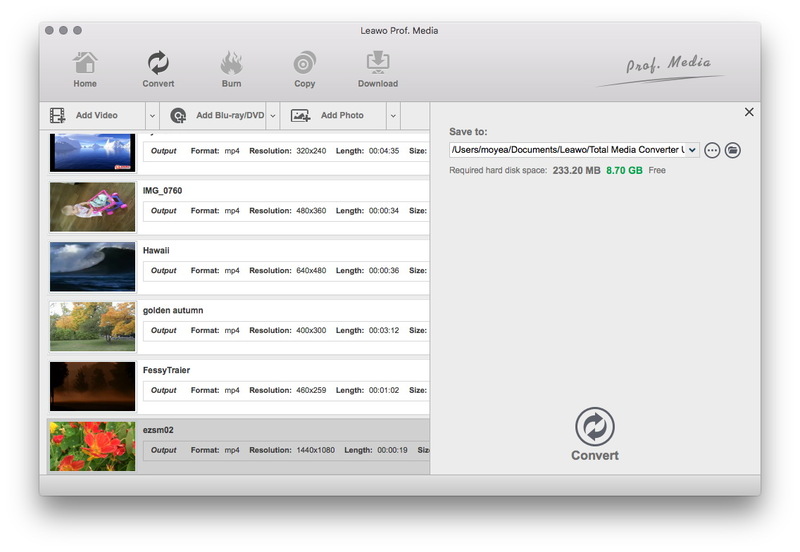 In addition, Leawo Video Converter for Mac helps you convert video and audio on Mac to any mobile phones, PCs, tablets, websites and other devices. 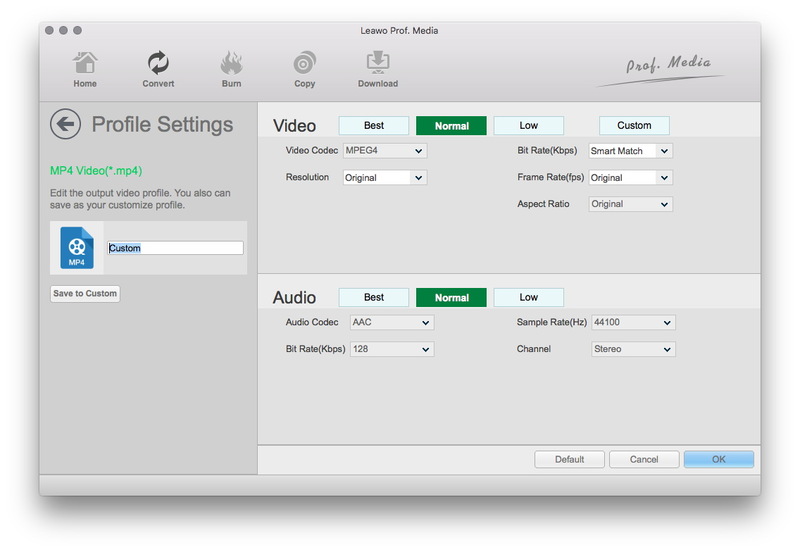 With this Video Converter for Mac, Mac users could freely enjoy videos and audios anytime anywhere with any player.